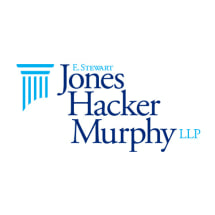 The litigation law firm of E. Stewart Jones Hacker Murphy is the result of a merger between two of upstate New York's most highly respected law firms, the E. Stewart Jones Law Firm and Hacker Murphy, LLP. Like most similar creations, the whole is greater than the sum of its parts. Today, our firm is home to 15 experienced attorneys - 11 of whom have been selected to the New York Super Lawyers list - who work from four office locations, including our law office in Albany. With 15 attorneys and decades of experience, no legal problem is too complex for our team. With skilled litigators and negotiators, no case can take a path for which we are unprepared. Whether you need a lawyer to serve as a neutral in mediation or arbitration, or you need an aggressive trial attorney to represent your interests or defend your innocence, the attorneys at the law firm of E. Stewart Jones Hacker Murphy can fill your need. By taking advantage of our offer for a free initial consultation at our Albany law office, you can discuss your legal challenge with one of our talented lawyers.